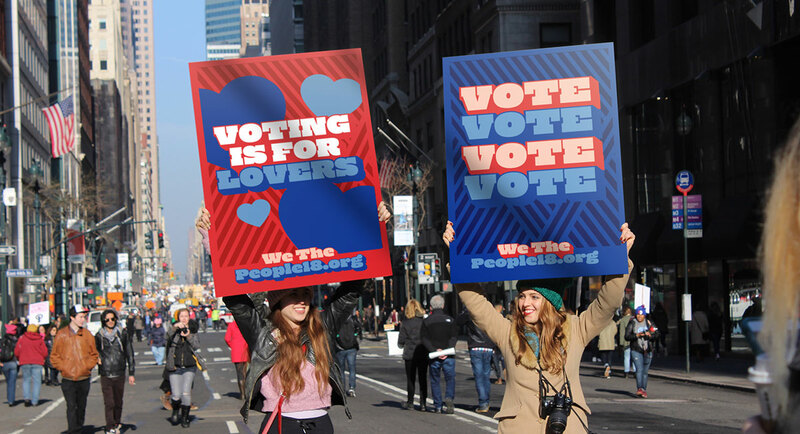 We The People is a collection of personal stories about why we vote. It is a website that allows anyone to record a personal reflection about what voting means to them via their webcam in the hope that their story will inspire and motivate those who feel disenfranchised to get out and vote. This project was an experiment to see what could be done in the three weeks leading up to the 2018 midterm elections to encourage voter participation. Voter turnout amongst eligible voters in the United States has been historically low, especially during midterm cycles and I believe that if we had more civic engagement in our country our political and socioeconomic climate would be very different than it is today. In addition to people contributing their stories online, I interviewed over 100 voters at City Hall in San Francisco in the three days leading up to election day. Amongst those that I spoke with were a priest, a trial lawyer, a candidate running for office, a union organizer, a woman whose parents marched with Dr. Martin Luther King Jr. and a young man whose grandparents were killed in the Holocaust. With so many personal stories collected in such a short amount of time, we're inspired to take this to the next level and expand We The People into a national platform as we race towards the 2020 elections. If you are interested in helping us make this happen please get in touch.